Arnold is Founding Partner and Chairman of the innovation consultancies Collective Invention based in San Francisco and the Idea Factory based in Singapore. He has held the positions of Vice President of Corporate Industrial Design/Human Factors at NCR, Xerox, and Unisys Corporation. He has also been Dean of Pratt Institute’s School of Design, Senior Fellow for Design Strategy at IDEO and Director of Design for the Raymond Loewy design office in Paris. He has been a pioneer in the practice of user-centered, interdisciplinary innovation strategy and was named a “Master of Design” by Business Week magazine. He writes and lectures frequently on design, strategy, innovation and management. Arnold has received numerous international awards for his designs of business equipment and consumer products. IDSA (Industrial Designers Society of America) has presented him with its Bronze Apple Award for organizing the first national conference on universal design. Carnegie Mellon University has presented him with its Distinguished Alumnus Award. He has served as chairman of the jury for Business Week’s Industrial Design Excellence Awards competition. Arnold also serves on the Professional Advisory Board of Carnegie Mellon University. He serves on the International Advisory Panel of Singapore’s Ministry of Information, Communication and the Arts and on the jury and advisory board of Singapore Design Council’s annual “President’s Design Award.” He was Principal Advisor for the ICSID 2009 World Congress in Singapore where he originated the Congress theme: DESIGN2050. He has been a member of the World Economic Forum Global Agenda Council on Design, a consultant to the World Business Council on Sustainable Development and a consultant on innovation strategy to the governments of Taiwan, Colombia and Mexico. He is a member of the advisory board of the New Orleans Center for Creative Arts. 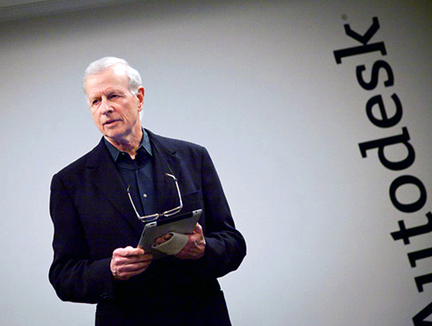 Arnold has been jury chairman and international advisor of Copenhagen’s INDEX: Design Awards since its origination in 2005. This major international design competition, conference, and exhibition awards “Nobel Prizes” for Design To Improve Life. He holds a Bachelor of Arts degree in industrial design from Carnegie Mellon University and a Master of Arts degree in design history and theory from the University of Chicago.